A new version of the Royal Enfield Bullet Electra will be unveiled at the 2006 NEC Motorcycle Show. The Electra-XS Roadster is based on the existing 500cc lean-burn single-cylinder machine, but gets more aggressive roadster styling exclusive to the UK market. Bikes for sale: Click here. The most obvious changes are the flat handlebars and twin chrome speedo and rev counter, along with chrome mudguards front and rear, plus an upswept sports silencer which gives a 10 per cent boost in power. Stopping is by a 280mm single calliper front brake, and it's fitted with Avon Super venom and Roadrunner tyres. 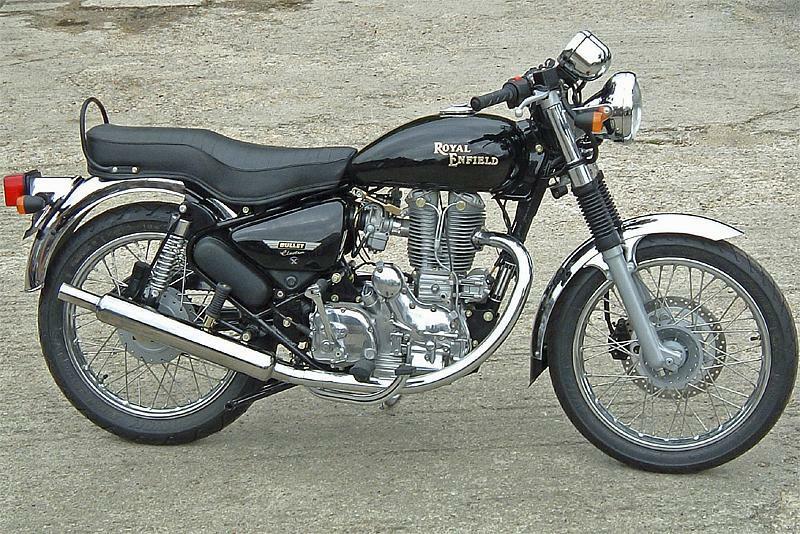 The Royal Enfield Electra-XS is expected to cost £4425 on the road, and is available in Black. Contact: 01386-700907.